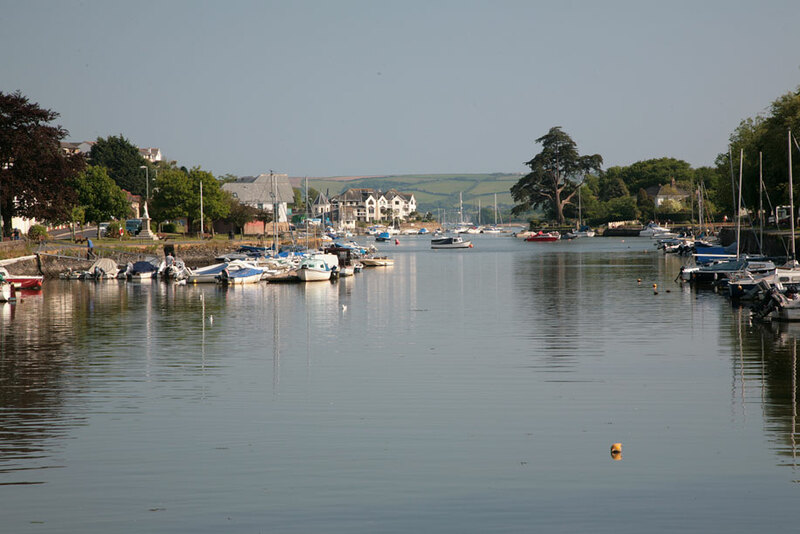 Kingsbridge is in the area of South Devon known as the South Hams. It is an attractive town with cobbled streets, quaint passage and alleys. Some of these have strange names such as Squeezebelly Alley. 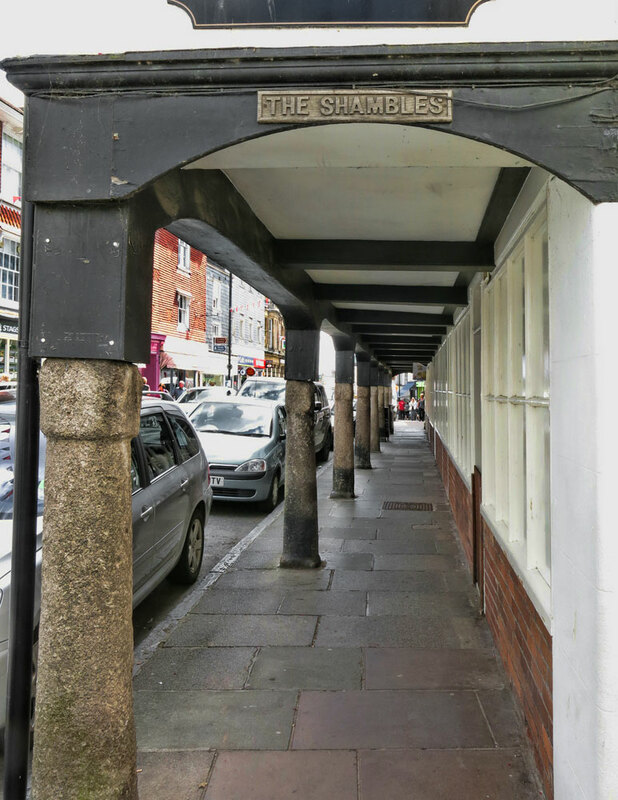 Perhaps the most interesting building is the Shambles, an old market hall raised on granite pillars dating from Elizabethan times. Markets are still held here today, selling different products on different weekdays. There are some fine houses, built in the 18th and 19th centuries, at the top of the town. One of these, Knowle House, was the home of the Captain Montagu of Montagu’s harrier fame. The Cookworthy Museum is in the Old Grammar School on Fore Street. There are nine galleries of exhibits in this 17th century school building. The museum was named after William Cookworthy, who discovered china clay in the mid 18th century. Cookworthy was born in Kingsbridge and the museum contains an exhibition of some of the finest English porcelain, for which he was responsible. Outside is a beautiful walled garden. 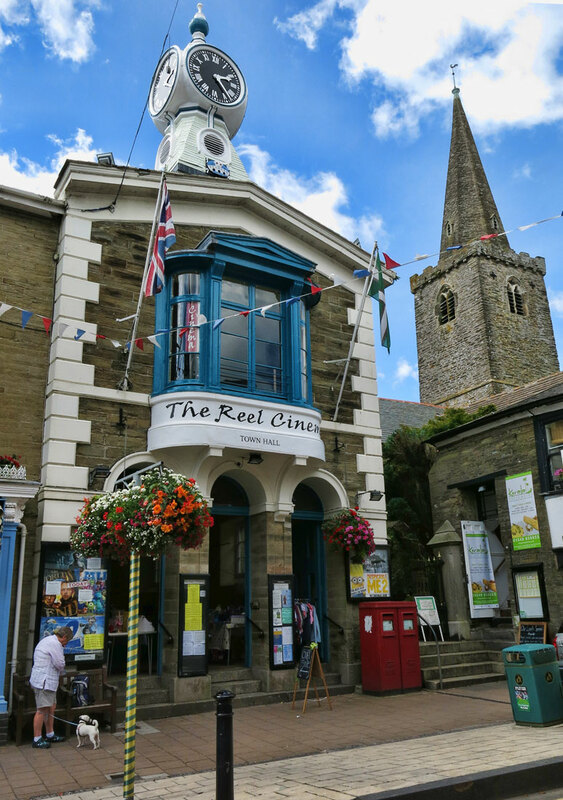 Kingsbridge's bustling Fore Street is an ecclectic, yet attractive mix of shopfronts, cafes and pubs. You can see that the town has had a thriving economy through the centuries and this continues to be the case. One of the most recognisable buildings is the Old Town Hall with its distinctive clock set on top. The clock is unusual in that it only has three faces - the local explanation is that the fourth face would have pointed towards the town's workhouse so wasn't added in order to prevent the inmates from clock watching! The building is now home to the three screen 'Reel Cinema'. The town is at the head of the Kingsbridge Estuary. This is a wide expanse of water, featuring many shallow creeks. Boat trips on the river are popular and there is good fishing in the area. At one time, Kingsbridge was quite a busy port, trading cider, corn and other products for more exotic goods from far away places. There are several good pubs, cafés and restaurants in the town, which is a good centre for walking holidays.